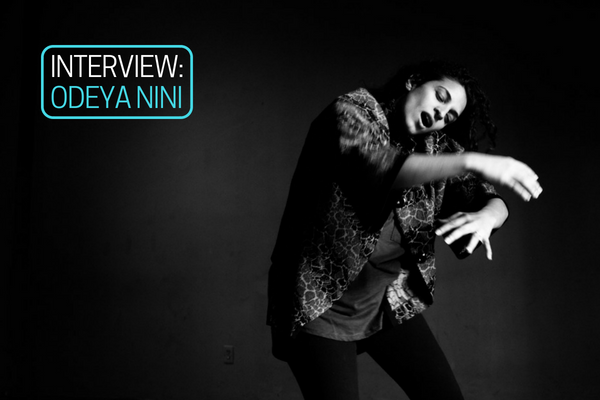 KGNU's Indra Raj speaks with experimental vocalist and composer Odeya Nini ahead of her performance at The Tank in Rangely, CO.
Indra: Thank you so much for joining me today. It's very exciting to hear about your upcoming performance at the Tank in Rangely, Colorado. Have you ever performed there before? Odeya: No, I have not. I have not been there, but from the moment I heard about this place, I thought that I must go. I must see this place and sing in it and I am a fan of acoustic spaces. Obviously, my work is really based on natural resonance and I work with that in my performance. I don't use any amplification. I always look for the places that have really nice resonance and acoustics to sing in. I performed in tunnels and aquaducts, among concert halls and gallery spaces, but always a place that has that resonance, so I'm super excited to check out the Tank. Indra: For our listeners who don't know what the Tank is, it was constructed in 1940, or around that time, as a railroad water treatment facility. It's an empty tank now, and its been used for performances for a while because of its natural acoustics. So, how did you hear about the Tank? Odeya: Actually, my friends. My friend Ethan, who is in Boulder. I have never been to Colorado and I've lived in this country almost my entire life and I feel like I gotta come to Colorado. I need to find a reason. I wanna find a way to perform. I've been to so many places in the world, and I haven't been to Colorado and I really just wanted to find the right place to show my work. So, Ethan said, "Hey, have you heard of the Tank?" And when I looked it up, and I thought "What is this incredible place and how have I not heard about it?" And I reached out to them and they were excited to have me come out. Indra: I think that our listeners will probably be interested to hear a little bit more about the type of music that you make, because I think it's fair to say that it's unconventional compared to what people normally think of as a songwriter, composer, or a vocalist. Part of your bio on Bandcamp says that you use extended vocal techniques, so I was wondering if you could talk a little bit more about what that means? Odeya: When you say extended vocal techniques, it’s basically just extending or using the instrument in a non-conventional way. So, not just harmony and melody and kind of a beautiful tone which lends itself to song, which is what the voice is usually used in song. Words, lyrics, rhythm, melody, and using it in a different kind of way. So, creating different kinds of sounds, different kinds of colors. It’s basically about a different texture and a different color with the voice that extends it beyond being a singer and that’s why there's a big differentiation between being a vocalist and being a singer, because in the root of vocalist's voice can be anything: crying, laughing, speaking, yelling, as well as beautifully singing and doing many other clicking, ticks and whirls and flutters - all of those colors are all in the voice. In song, of course, means a certain style, something that needs to be learned in a different kinds of ways. So, the way I use my voice- I definitely use a lot of song and a lot of melody, harmony, and all of those things. But, I am interested in all the other expressive colors; that abstract expression in voice where there are no words, where there is just an underlying, strong emotion and tension, energy, and kind of riding that wave of breath with all these different kinds of colorful sounds. Indra: So, you have recordings of your work obviously, but I'm interested to hear a little bit about what your performance looks like in the live setting. Do you focus mostly on your voice? Are there other instrumental things involved? What does that look like? Odeya: Well yes, it's definitely a solo performance. I call it a solo voice. It's interdisciplinar. I use movement and theatrical elements, but the body is really a big part of it. In terms of mainly the vocal release, the release which is not choreographed movement, but movement that’s pulling me that's taking me. That needs to happen to get all of these different sounds come out of my body. If I get stuck, I shift and move in a different kind of way. I play with movement in terms of affecting the sounds, like a really strong shaking of the arms or moving the body in a way that can effect or articulate the sound in a different kind of way. Also,the expression of the body - so if I'm frowning, but you're hearing a very sweet sound - kind of playing with the juxtaposition of that and the audience and how they're experiencing something and understanding that they're reading many different things. It's not listening to just the sounds, but it's my energy, my body. It's what I am saying on many levels. Just to add to the exciting abstract nature of it even more and make it even more of a mystery so people are really forced to kind of construct their own story of what this is. I worked very hard for the last few years to do something to avoid the question of, "What was that?" or, "What are you thinking?" or, "What's going on?" But to work in the abstract. But, also considering very much the audience, so that there is a clarity, because I'm clearly committed to what I am doing but it's unknown and everyone will experience it differently and certainly what I'm going through is not what everyone will be going through. So, when you're seeing a performance its very energetic which doesn't mean loud. There is a lot of softness, but there is a lot of volume as well and a lot of different kind of movement and hopefully people sense that I am really interacting with them in the space. So, it's not just a frontal, somebody observing, somebody watching me. But I'm very interested in the involvement of bringing people in and I do that physically by reaching towards them or by energetically sending them the sound, like throwing them balls of sound so that is very alive in the space. And that's why resonance is so important, because literally sound is physical. It's traveling through space, and when the space is very resonant you can hear it and feel it really moving around you in circles, spirals, and diagonals. It's an amazing thing that exists, sound in a physical form. So, yeah it's lots of things and it's a lot of fun. Indra: Yeah, it sounds like it. I also read that you lecture about contemporary vocal techniques and do workshops and part of some of those workshops are about the healing qualities of voice and movement. I was wondering if you could tell us a little bit more about that? Odeya: In my years of studying voice, in the earlier years, I came upon challenges like all of us. I spent time working through those challenges and did a lot of with improvisation, free improvisation that just freed so much. But, really when it came to thematic practices and movements - not dance but just movement practices - I really realized I had to work through so many of those challenges and how many different kinds of visual imagery and direction and how when I apply that to movement and how that opens up and shifts things inside of me energetically, emotionally. Just the release that happens with movement and sound being physical and being movement. It's such a powerful force for ourselves. I mean, literally, the body is vibrating strongly when you're singing and other people’s bodies are vibrating as they hear the sound. It's touching their brains, it's touching inside of them. I think that is invisible and we don't have a lot of respect for the things we don't see, but when we do see something and we're standing in front of it, we can't ignore it. I've worked a lot to strengthen the imagination and the visualization and have a relationship with the voice.I really think of it as like an entity and how its affecting me and my own body and touching my body and soul and how every time I open my mouth to speak or of course to sing, I'm touching someone. I am affecting them, and how to consider that and who am I in that space is a really healing space for an individual when you're sounding and making that sound for yourself, but also in a relationship with another person and how you're affecting that space. And, what I said before about people asking me during my earlier days, they wanted to know what was happening to me, they wanted an explanation, and I did not want to give people an explanation. I didn't want people to respond to my performance with wanting an explanation, and I thought, "Okay, how do I get people not to ask me what I'm feeling but to tell me what they felt," and come to me with an image that they had from their experience. I started vocal sound baths where I thought, "what if I had people lay down and close their eyes while I sang to them?" and "Is that gonna take them out of their heads and into their bodies?" For years, I've been teaching yoga for about ten or so years, so that practice and the sound baths… which yes, people definitely did not ask me what I was feeling, and came to me with their own feeling, and then how I was singing in that space was giving people energy thinking of moving them, and the teaching I was doing - I just got deeper and deeper into really guiding people through a different attitude with sound and their voice, which there's so many layers to that. I started doing workshops, and last year I lead my first three-day retreat which really touches on all of these elements and goes deep into the journey, which singing is like playing basketball and meditating and there's so much imagery, visualization, animation and play and digging into our history and ourselves and the things we're holding and not holding, and awareness. It's such an amazing world and the beauty is that we all, as humans, are in that world using our voices so that we can be in the creative place and exploration as opposed to playing the clarinet where that's a very different journey in music. So, it’s been a real pleasure working with people, and most of the people I work with are not musicians but I'm always so amazed and so humbled and honored when people approach me that are lawyers, or all walks of life, who say, "Hey, I wanna work on my voice," and I think, "Yes! I believe in humanity." So, yes, I feel like those worlds of yoga and music - I kept them very separate for a long time and for the last two years or so, especially the last year just not being afraid of really owning that understanding how healing art is. Especially the voice - and I've been preaching it in many different ways and trying to reinvigorate contemporary music with this spirituality and a holistic approach to music. It comes from a place of reaching a higher state of consciousness and connecting with something within ourselves and greater, and we can't forget that. Indra: You've obviously done a lot of careful thinking and work around the voice, which is just something a lot of us take for granted. We talk to people everyday, and we use our voice a lot, and it's really interesting to hear you talk about all the different things that we often don't consider. Obviously, it's taken you a while to come to this place where you are in your life and being an experimental vocalist is definitely not a conventional path for a musician. So, I'm curious to know how you arrived in this space of performance and making music, because you were saying playing the clarinet is not a different thing, but that's usually what people are introduced to when they first introduced to music - maybe in grade school or at some point like, "Here's an instrument and learn it and go forth." Odeya: Yeah, I mean I think that many breakthroughs people have comes from a challenge and I started out in theater as a kid during highschool really seriously. I was very passionate. I dreamt of coming to Hollywood and being an actress and never thought I’d ever actually live in LA making experimental art, but that was really my passion was embodying characters - that escape of being a different person - but when I started singing I was in Israel for six years. My parents are Israeli, and I had to serve in the Israeli army, so I was in a band for part of it. In a band, you're singing and dancing and it’s that kind of diva sound, and you're loud and moving and I just don't have that kind of voice and I really struggled with it. I would cough. I just couldn't and my voice was not right and I ended up going to speech therapy, and they told me my vocal chords didn't close enough and that I had to do different work. I was definitely pushing. So, I found a theater teacher who was incredible and the kind of work that he did, which is not the voice theater work that I did in high school, was really based so much on the body, and we had different yoga poses with breath exercises and different connection between the body and the breath. That was the first kind of initial shift I had. And, then I studied jazz at the New School for jazz and contemporary music in New York, and I wanted to be a musician at that point, not an actor anymore. I didn't feel like jazz was my soul. I got in and started doing it, and after the first two years of the required songs which I liked them, but it just wasn't my thing and I just felt like that. I don't know what it is, but there's something else inside of me and also with words - back to the issues I had before. I would run out of breath, the phrasing of the words - I felt like I wasn't getting to the end of the sentence at the right time. When you're singing with words you put in these little breath marks, you sing this far then take a breath, then you sing these words and take another breath. I just felt like that was not comfortable on my body so I would always choose the spirituals and the songs that were really open for my repertoire. My third year in school there was a class called sound in time where he had us record sounds in our environment and come back and play that on our instruments. So, I recorded my New York door creaking and the shower and the tea pot, suddenly listening to all these sounds in my environment- that's really where all the extended techniques began because you come back into the room and how do I sound like a teapot? How do I sound like a creaking door? So, I had to find different ways to move in my mouth and with my tongue and all these different colors came out. And because it’s free improvisation, I could follow my breath any way I wanted. Nothing was dictating where to go. If suddenly some spit came up and it kind of cut off my voice, I would just turn that into something interesting or whatever came up into my body, I would work into my improvisation which completely liberated my voice and my mind, and it completely blew me away and it was amazing. I got really deep into improv and when I moved out to California I went to school to study composition really wanted to focus on composition, but it was stronger than me - the voice. And I got into contact improvisation and got to know a lot of people that were performance art dancers, and just performance as a genre and different types of music that have to do with subtle changes and subtle movement and listening deeply. The different attitude towards sound that gives you a different type of control that’s not dictated by something else, but by your own expression and creativity. So, the movement and thematic practices liberated me even more and it just kind of took off from there. I always tell students, "It's not what you sound like. Don’t ask yourself what you sound like, but ask yourself how you feel when you're sounding," because that's where the answer is. You're not going to know if something went well from just listening - you have to know how you feel. If you feel good and it feels right, then it is right. Maybe if you're not singing but just for being creative, you just want to be in that place of feeling because it’s a sensation, it’s a vibration. Yes, that's where I am now. Find out more about Odeya Nini at www.odeyanini.com.